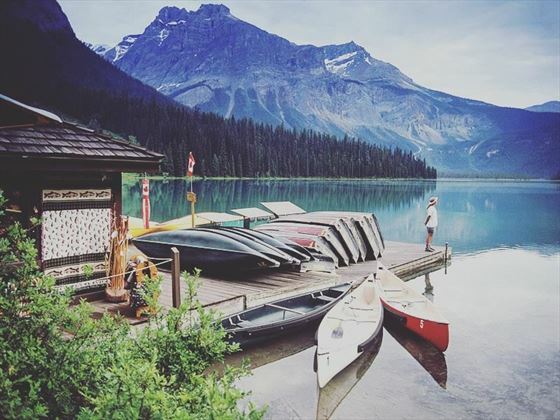 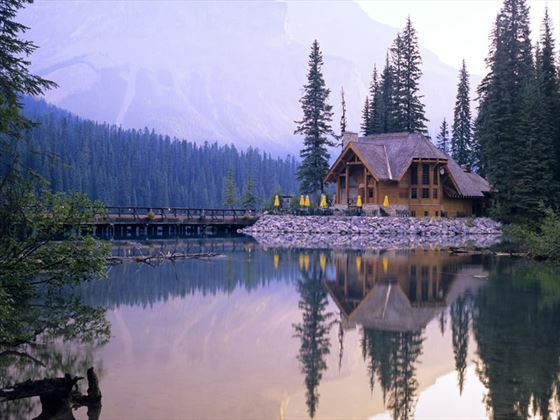 Situated on Emerald Lake within Yoho National Park, which was first discovered by legendary guide Tom Wilson in 1882 during the construction of the Canadian Pacific Railway, The Emerald Lake Lodge’s original guest lodge was built in 1902. 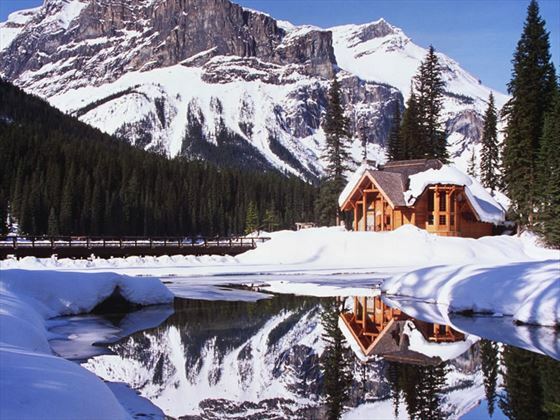 Now the area remains one of Canada’s most outstanding year-round accessible wilderness settings. 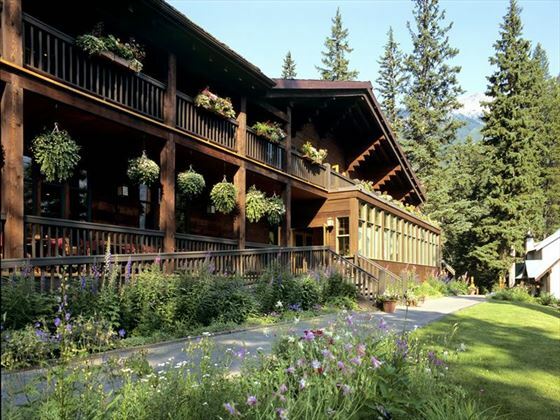 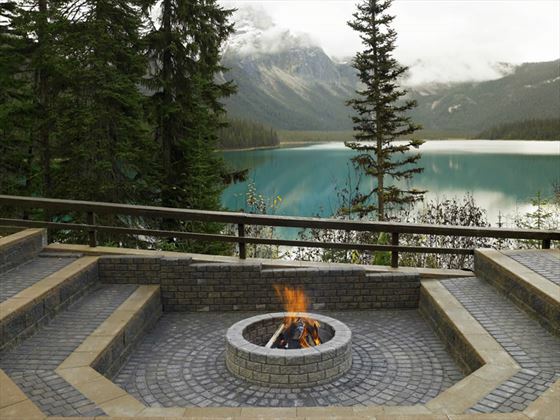 Close to local attractions and spectacular views, the lodge is just 20 minute drive from Kicking Horse Pass Historic site and 35 minutes from Lake Louise Ski Resort. 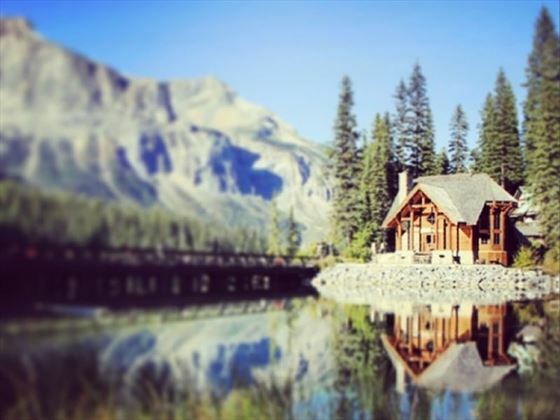 Built from hand-hewn timber and featuring massive stone fireplaces, the Lodge includes a formal dining room, quiet reading and sitting rooms, conference facilities and a games room. 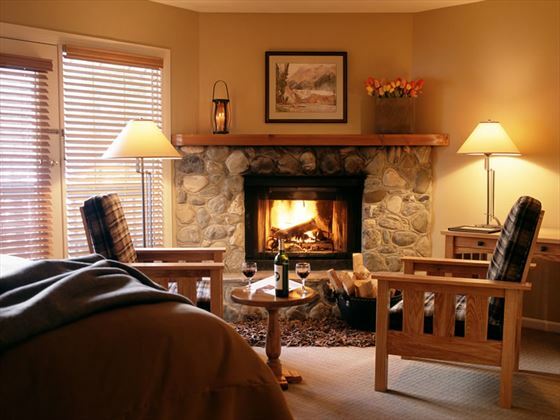 The lounge is enhanced by an oak bar salvaged from an 1890’s Yukon saloon. 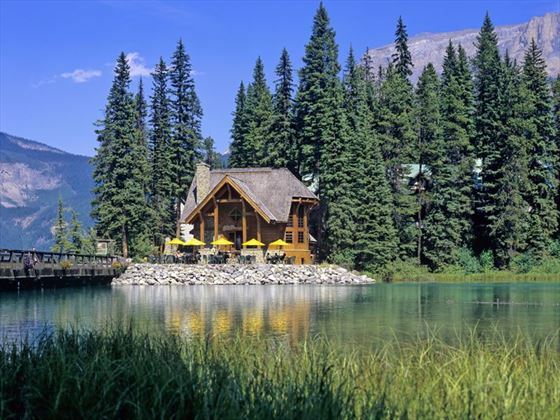 Reflecting the traditional architecture of the lodge, the 24 cabin-style buildings offer cosy guestrooms with plush furnishings, modern amenities and wood burning firestone fireplaces. 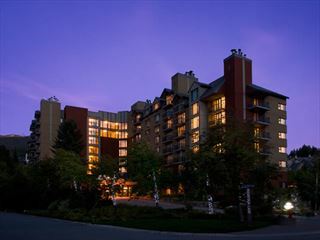 CRMR’s famed Rocky Mountain Cuisine stems from a love of hearty meals from European mountain guides and lavish Victorian cooking, dine at the inviting Mount Burgess Dining Room with fresh ingredients and craft cocktails, enjoy bistro dining at Cilantro on the Lake and end the day with a signature drink made by the skilled bartenders at Kicking Horse Lounge. 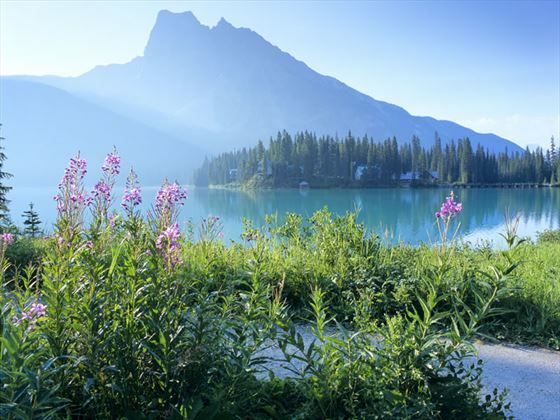 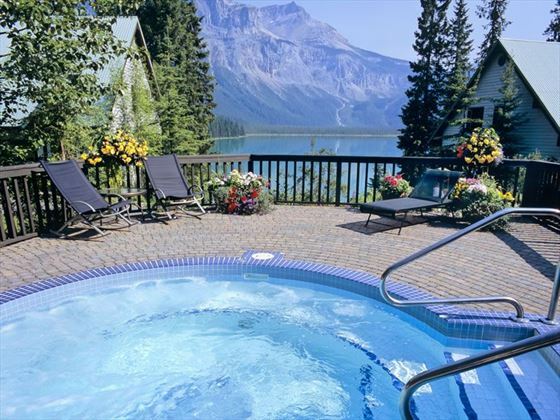 Situated on Emerald Lake within Yoho National Park, the Emerald Lake Lodge featues spectacular views and is a 20 minute drive from Kicking Horse Pass Historic site, 30 minutes from Takakkaw Falls or a journey on the CRP train and 35 minutes from Lake Louise Ski Resort. 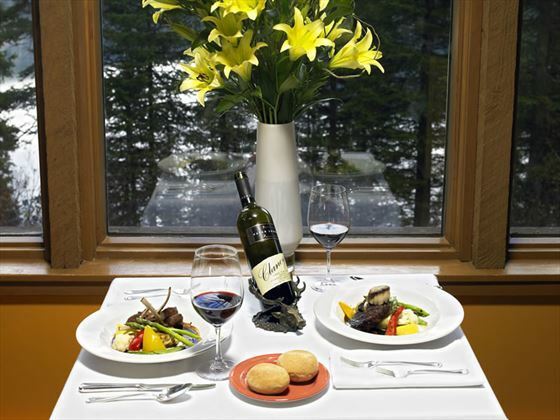 Cilantro on the Lake - Bistro style restaurant for lunch and dinner with sandwiches, pizza, pasta and an extensive list of wines. 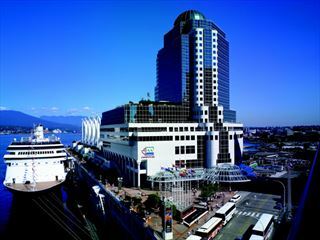 Pan Pacific is a downtown waterfront hotel and offers 503 luxurious rooms and suites with panoramic vistas of the harbour, mountains, Stanley Park and the city skyline. 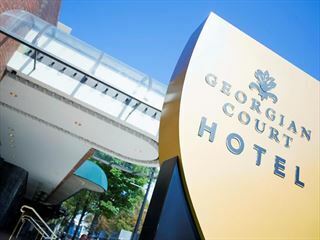 The hotel is luxuriously appointed with a wide selection of modern hotel amenities, with its waterfront restaurants and lounge providing an award-winning selection of West Coast Cuisine.